This stock turned Rs 1 lakh into Rs 3 crore in 18 years; do you own it? The stock of the firm which stood at 5.50 on March 10, 2000 is currently trading at 1482 level on the BSE gaining over 26,000% during the above period. 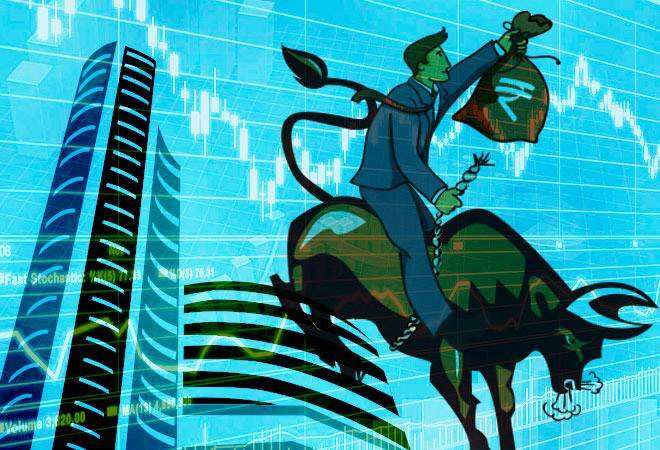 The Shriram Transport Finance stock has become a hot pick among analysts with rural consumption and rural recovery happening along with good monsoon for the third consecutive year. The firm which is engaged in providing finance for commercial vehicles and other loans operates through a network of almost 850 branches. It is engaged in pre-owned commercial vehicle (CV) financing business. It services include lending and receiving deposits. The stock of the firm which stood at 5.50 on March 10, 2000 is currently trading at 1482 level on the BSE gaining over 26,000% during the above period. If you would have invested Rs 1 lakh into the stock in March 2000, your investment would have grown to nearly Rs 3 crore by now. The stock of the firm reflects the steady pace of growth which the company has reported during the last 18 years. During the last five years too, the financials of the firm reflect a strong performance. The firm's operating profit rose from Rs 2,867 crore for the financial year ending 2013 to Rs 4368 crore for the financial year ending 2017. Its operating profit for the year ending March 2018 is estimated to rise to Rs 5,313.4 crore, according to estimates by brokerage Motilal Oswal. The firm is expected to post Rs 1,758.1 crore in profit after tax for FY 18 compared with Rs 1,360 crore reported as profit after tax in 2013. 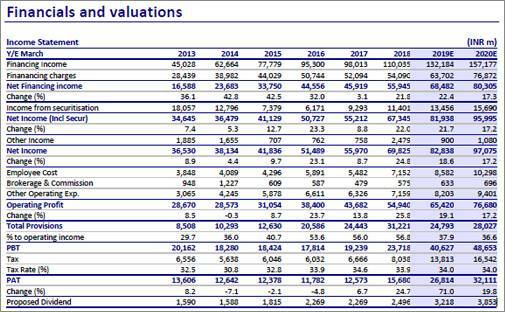 The large cap stock is fairly valued and looks positive in the long term. The stock has gained 54.03% during the last one year and is up 0.53% since the beginning of this year. The firm's major competitors in the market are M&M Financial, L&T Financial Holdings, and Bajaj Holdings among others. The stock is a hit among the brokerages. It is among Motilal Oswal's top picks in the industry. The company is witnessing strong growth in rural areas, where it is opening more branches incrementally. Note that the firm opened more branches in FY18 than it did in FY15, FY16 and FY17 combined. The company is likely to open 200 new branches (including conversion of rural centers) in FY19. Given the favorable tailwinds over the next two years, we expect the NBFC to deliver 30% plus profit after tax CAGR over FY 18-20. This translates into 2.7%/19% return on assets (on AUM)/return on equity by FY20. Despite the sharp run-up in the stock, it trades at 2 times FY20E book value, a discount to our NBFC coverage (ex-GRUH Finance) average of 2.4 times. Even on a PE multiple basis, the stock looks more attractive at 12.5 times FY20E earnings per share, a discount to the 14 times multiple for our NBFC coverage. The firm's return ratios are just off cyclical lows, with decadal-high credit cost and non-performing loans. However, credit costs over the past three years have been statutory, rather than economic, i.e., write-offs as percentage of AUM have been largely steady. Additionally, we believe margin compression fears are overplayed as there remains significant room to reduce cost of funds further. We increase our FY19/20 estimates by 5-7%. Buy with a target price of Rs 1,950 (2.5x FY20E book value per share) at Rs 1632 level. The brokerage too has given a 'buy' rating on the stock with a target price of Rs 1985. The stock can be bought at Rs 1610 level. The brokerage has given a buy rating on the stock with target price of 1822 level. The stock can be bought at 1628 level, the recommendation states. Of 36 analyst recommendations and revisions on Reuters, 13 have assigned buy rating to the stock. 16 have given outperform rating,two have given hold and three have given sell rating on the stock. The firm reported a 3.4% fall in its standalone net profit at Rs144.60 crore for the quarter ended March 2018. Its net profit stood at Rs149.63 crore in the corresponding period of January-March of 2017. However, net interest income during the quarter rose 30% to Rs1,486.92 crore as against Rs 1,143.97 crore in the same period last year, the company said. Total income during the quarter stood at Rs 3,309.04 crore, up from Rs 2,712.31 crore in the same period a year ago. For the full year 2017-18, its standalone net profit increased to Rs 1,568.02 crore from Rs 1,257.34 crore in the previous fiscal.